Based on a report by Lynn Kota, LUSIP-GEF National Project Manager, Prince Mngoma, LUSIP-GEF Environment Coordinator, Clement Gamedze, LUSIP Community Development Officer, Debra Khumalo, reporter from Agribusiness Monthly magazine, Lwazi Dlamini, Journalism student at the University of Swaziland and Msutfu Fakudze, Director of the NGO Conserve Swaziland. The village of Luhlanyeni is located in the Mamba Chiefdom of Swaziland, one of the driest areas in the country. 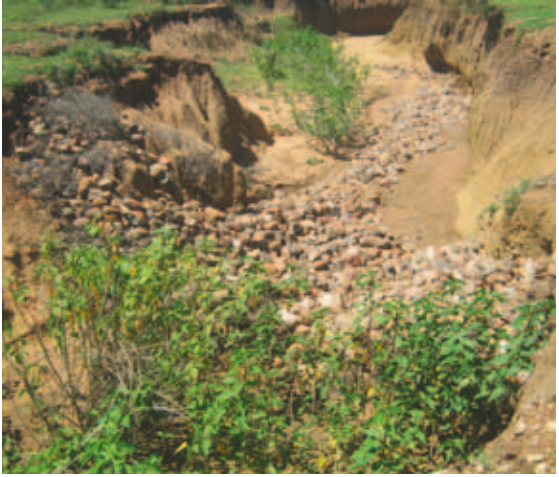 While drought causes serious issues for smallholder farmers in the area, it is flash flooding and erosion that pose the biggest threats. The Sihlangwini Sustainable Land Management project, initiated in 2010, is working to tackle the issues of drought, flash flooding and declining soil fertility. The programme is part of the larger Lower Usuthu Smallholder Irrigation Project supported by the Global Environment Facility (LUSIP-GEF). It is financed by IFAD and the GEF, and implemented by the Swaziland Ministry of Agriculture and the Swaziland Water and Agricultural Development Enterprise. Luhlanyeni has suffered from degraded lands due to overgrazing and lack of managed drainage systems. When flash-floods arrive, heavy rains are channelled into gullies which became deeper and deeper each year through erosion. Some of these gullies have grown up to twelve meters wide and over six meters deep. The gullies are encroaching on arable land in and around Luhlanyeni village reducing the areas suitable for cultivation and grazing, endangering the livelihoods and food security of the community. Some have grown so wide that some of the villagers' homes were in danger of collapsing into them. The community decided something needed to happen to stop the rich topsoil from washing away and more arable land being destroyed. They had already attempted their own solutions to the problem but they knew that they needed more help. 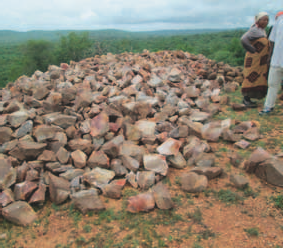 The Sihlangwini Sustainable Land Management project began in early 2011. It involved hosting workshops to look at the causes of the gullies and possible prevention measures as well as sustainable land management practices. It then provided training for the community members to build on their existing knowledge to rehabilitate the land. Additionally the project supplied the necessary field tools for the restoration processes. 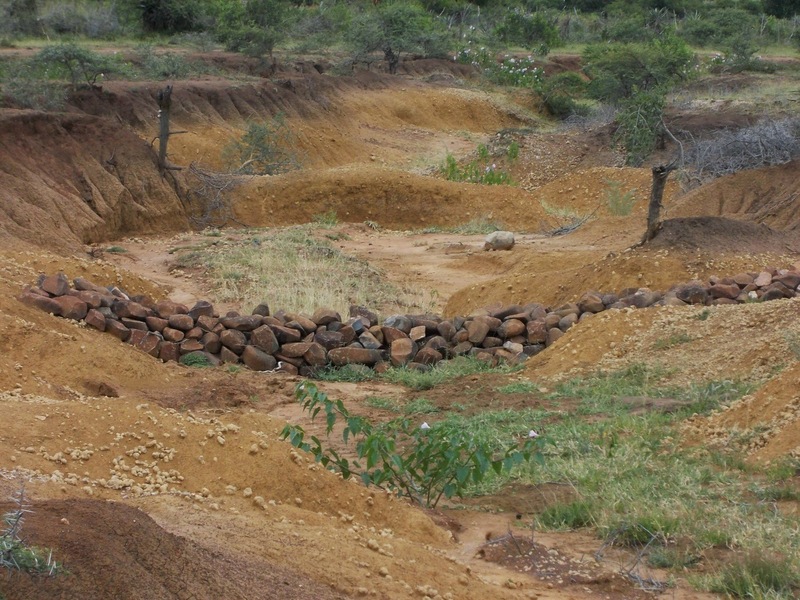 The community used a combination of biological and mechanical approaches to restore the degraded areas. Biological approaches consisted of planting trees to stabilise the soil and using drought-tolerant crop varieties. Mechanical approaches included the use of gabions (metre-square wire baskets filled with stones used to stop erosion) which were placed into the gullies. The main objective was to make sure the community understood the causes behind land degradation and how they could combat the threat year after year. The project also included additional training and workshops on teamwork, HIV/AIDS and gender equality. Although the land was heavily degraded, the community can now use it again for farming. Roughly 21 hectares of land have been recovered which has aided over 150 farming families in strengthening their food security and providing them with additional income. The project ended in 2013 and has been lauded as a great success. The experience in Luhlanyeni has inspired a nearby community, Sithobelweni, to rehabilitate a large area of their own. The key to its success has been down to the commitment of the community. The project was driven and initiated by the community itself, building on the solutions and skills they had already implemented.